Marketing is no longer limited to positioning products and services and has extended to product creation, innovation and the experience customers have of your offering. Speaking during the opening keynote of the Adobe Summit digital marketing conference in Salt Lake City, the vendor’s president and CEO, Shantanu Narayen, said digital marketing has moved beyond being a foundation for the marketing function and is now fuelling digital strategy and transformation across organisations. Extending the lessons learnt in digital marketing to the rest of the business sees marketers increasingly working with IT, sales support and back office functions to focus on and drive better customer experiences, Narayen said. “That [in turn] has enabled the CFO to report revenue, and put the CMO in position to predict future sales based on view of upstream marketing funnel,” he commented. But it hasn’t stopped there. Narayen argued the focus on customer experience has now stretched to the point where a company’s product is marketing. Narayen pointed to travel, retail and services industries as sectors that have already worked out the customer experience of their services is synonymous with their brand. And it’s those experiences that help them stand out from their competitors. As a further reflection of this trend, Narayen said Adobe is increasingly being asked by organisations can how to embed Adobe’s SDK (software development kit) directly into their product. This alignment to product innovation is opening up another avenue for how the Marketing Cloud can be used, he added. Adobe’s own push to better integrate its technology platforms reflects this trend, and Narayen highlighted initiatives uniting product discovery, download, support, and usage. “We’re integrating desktop apps with the Marketing Cloud to do things like our hello feature, which personalises tips and tools and recommends new services to customers inside the product,” he said. During his keynote, Adobe VP of digital marketing, Brad Rencher, pointed to a mobile app launched by Vale Resorts for skiers as an example of marketing and product innovation intersecting. “The question is: Is that marketing? Or is it product?” he asked. “It might seem like an academic question, but it’s not anymore. Too much of what, when and how we do things is changing and it’s changing quickly. As technology and consumer behaviour changes, so too does the nature of marketing, Rencher continued. “Whether it’s our banking, media or utility customers... customer experience has become the brand of your organisation and the gauge of your success,” he said. As part of the keynote session, Coca-Cola’s chief development officer, Lorie Buckingham, described how the beverage brand brings together marketing initiatives with customer experiences and product innovation to give consumers “that moment of happiness”. One example is Coke’s Freestyle vending machine, where customers can create their own drink flavours. Another is its ’hug’ machines in universities, where consumers can hug a machine to get a free drink. A third example Buckingham shared was the company’s ‘It’s a small world’ machines where consumers could connect with other consumers digitally. “For us it was creating experiences then leveraging those, as well as connecting digital experiences with physical ones,” she said. “Freestyle is about customers creating the next product for us.” Buckingham pointed to the huge amount of equipment with screens Coke now has globally. “As we produce more content, we can also use that in different ways on the screens,” she said. Coke feeds back digital insights from consumers as well as interaction information from the vending machines to inform its customer engagement strategy. This is also making more personalised experiences a reality. “Imagine we had that brand experience wherever you went in the world and could interact with you in the same way – the Freestyle machine interacts with you in the same way as we knew you were there,” Buckingham said. Success for Coke comes back to the core ingredient of modern customer interaction: Data. To better utilise data globally, Coke has connected data platforms and assets globally and adopted Adobe’s Marketing Cloud. “We have the data, content and we are continuously refreshing that so we can have a common experience but also create new experiences,” Buckingham said. 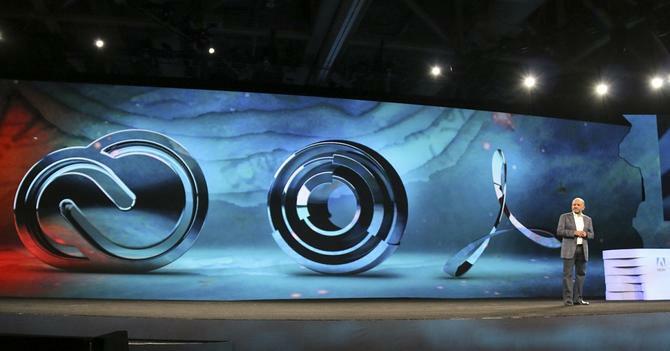 Nadia Cameron travelled to Adobe Summit 2015 as a guest of Adobe.